The T- STEM academy enables students to experience rigorous, relevant STEM coursework in a strong supportive and collaborative environment. Building a STEM culture is a collaborative effort between students, academy staff, parents and the community. A STEM culture possesses clear expectations of all stakeholders and provides support needed to attain goals while preparing students for success in college and careers in STEM fields. 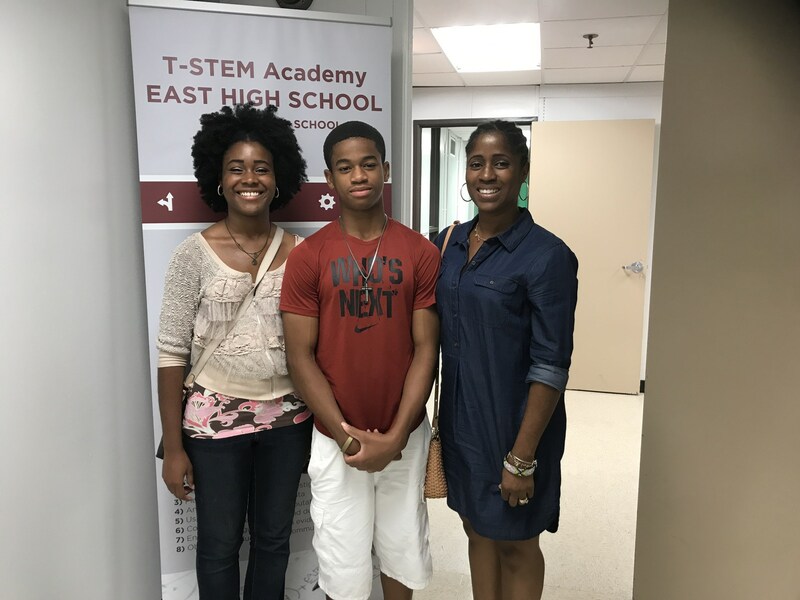 The T-STEM counselor advocates for students and strengthens the T- STEM culture through emphasizing a college-going awareness in students as well as providing a focus on STEM career preparation. Building culture begins with providing students relevant individual counseling and classroom guidance. The counselor assists students in the decision-making process of choosing rigorous STEM courses and examining college and career options. Through specifically focused guidance, the counselor assists students in identifying the college and career aspirations and plan to achieve them. Providing students with an individual STEM Personal Graduation Plan and specific four-year plans enables students to envision the road to success both at high school and into college. Grade-level parent presentations provide information as to expectations associated with each grade with respect to course attainment and college readiness and access. It can be an opportunity to impart information on assessments, graduation plans, attendance and more. A monthly newsletter for students and parents can cover topics essential to their grade level and the STEM program. Include testing dates, programs, college visitation dates, scholarships, AP/SAT/ACT test schedules, helpful websites, and more. Conferencing allows counselors to use their strong interpersonal skills and knowledge of the T- STEM program to effectively communicate with parents when stumbling blocks appear in the pathway to their student’s success. When the T-STEM counselor participates in parent/teacher/student conferences it becomes an opportunity to advocate for the student while supporting the policies of the academy. These open and honest conferences promote open and honest relationships and communication.